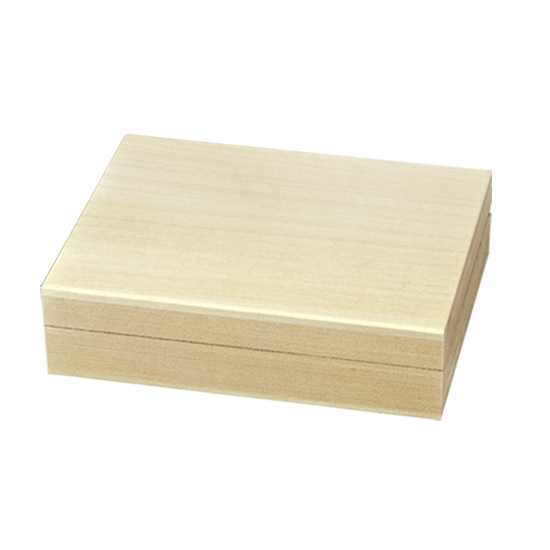 Rectangular, low-height playing card box, fits two standard size decks of card. This box has no division for the playing cards, red felted interior bottom. Raw, sanded, unvarnished Linden wood (also known as lime and basswood) box.